The Mercian Constitutional Convention was formed in 2001 as a result of the complete refusal of the government of the United Kingdom to discuss the future of Mercia with its democratic regionalists. Membership of the Convention was open to all interested people across the region and, following over two years of debate and discussion, it produced the Constitution of Mercia in 2003. As Mercia and the other historic English regions were forcibly destroyed by the Norman conquerors after 1066, they still exist in law and the UK is in illegal control of them. Therefore, because Mercia remains extant de jure, the Constitution of Mercia is the fundamental law code of the region. 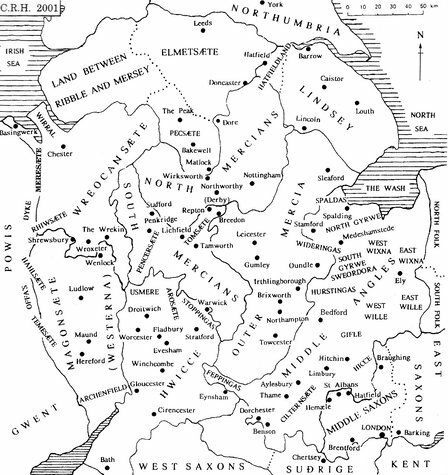 The Acting Witan of Mercia was formed from and initially by members of the Constitutional Convention in 2003 to spearhead the full democratisation of the region and the re-establishment of its de facto independence under the Constitution of Mercia. Since then, more than 2,000 people in the region have registered as citizens of Mercia, acknowledging the Constitution as the ultimate legal authority in the region and the Acting Witan as the de jure acting government of Mercia. Membership of the Acting Witan is open to all the registered citizens of Mercia.